There is no doubt many extensibility options that exist for you as a Microsoft Dynamics CRM project manager or developer. Whether you want to use plug-ins, the SDK, or other options, it tends to be more of a question of where and when to use them. Join this session to understand more about your extensibility or software craftsmanship options for Microsoft Dynamics CRM and how to apply best practices when using the options available to you.. The integration of Microsoft Dynamics CRM and Microsoft SharePoint is not a new topic; however, the ‘December’ release of Microsoft Dynamics CRM 2011 working with the new Microsoft SharePoint 2013 provides a whole new level of integration between these two platforms. Join this session to explore a new way to organize sync and share all your content. We’ll navigate through topics including social and team collaboration, cross-system visibility and mobility. In this user-group breakout session, we’ll discuss troubleshooting techniques: how to decide what resource to use for whatever problems, or common scenarios that may exist in managing your Microsoft Dynamics CRM environment. Bring your real-life issues for group discussion and troubleshooting and be prepared to take notes as we share the in-the-trenches success stories in how to tame down your CRM challenges. Learn how Microsoft is leading the way to build the most robust cloud services infrastructure, and discover what Microsoft Dynamics is building behind the scenes to make IT invisible to CRM Online customers. You’ll learn more about the Microsoft Dynamics CRM cloud vision and plans to build the most secure and reliable cloud service offering for CRM customers. ***This session is not repeated. Join this technical session to go under the covers of reporting and analytics capabilities in Microsoft Dynamics CRM. We’ll drill into real-time charting and dashboarding features and show you how you can extend these capabilities with more complex charts and multi-series analysis. We’ll cover web resources that enable intuitive analytics capabilities. And we’ll show you powerful analysis that can be completed with Microsoft Excel 2013, PowerPivot, PowerView and other tools with SQL Server 2012. ***This session is not repeated. Microsoft Dynamics CRM introduced the solution construct, a way of packaging your customizations into a single file which can be transported between environments. Come to this session to discuss best practices on how to develop and package your solutions. Bring your specific questions and exchange ideas with other customers on how to design and package your solutions. Integrating user experience, business processes, and data across applications can provide tremendous value to the business, but achieving integration can pose significant challenges. In this session we’ll discuss these challenges and talk about the choices available to address those challenges, including approaches for on-premise and cloud deployments. We’ll explain concepts through scenario-based demonstrations showing how Microsoft Dynamics CRM can integrate into your business system infrastructure. ***This session is not repeated. Attend this session to discuss your specific customization objectives and learn tips and tricks on how to achieve those objectives. In this session, we’ll focus on the many available options to extend Microsoft Dynamics CRM and the tools and techniques that better support a wide variety of business needs. Gain greater insight into customization strategies, drill down into real-life scenarios and uncover new ways to better adapt the user experience, business process and environment to fit your organization. This technical session will explore how to leverage Microsoft technologies to develop cloud solutions. Join us to see these technologies in action, including Microsoft Dynamics CRM Online, Microsoft Office 365 and the Microsoft Windows Azure platform. With the evolution of cloud technologies, we now have parity in functionality between cloud and on-premises apps. We’ll also cover how you can architect business solutions that harness the power of the cloud and bridge on-premises assets for hybrid scenarios. Windows 8 has introduced an innovative, dynamic, process-driven user experience that is unparalleled to date. Windows 8 applications don’t sit there waiting for the users to act; they entice users in and tell them what they ought to be doing. Come find what goes into making an effective Windows 8 for Microsoft Dynamics CRM. Hear how Power 8 CRM for Microsoft Dynamics CRM can not only increase user delight, but now more than ever, garner the user’s attention and engagement to deeper levels of user adoption. ***This session is not repeated. The way that people and organizations interact is fundamentally changing with the continued evolution of social networks such as Twitter, Facebook and LinkedIn. Learn how to harness the power of social technologies in your CRM strategies. We’ll discuss why social should matter to organizations. We’ll cover capabilities in Microsoft Dynamics CRM and other Microsoft social technologies such as Yammer and SharePoint. We’ll provide insight into the investments made in social technology across Microsoft Dynamics CRM. Every organization is constantly seeking ways to deliver more efficiency to their users with Microsoft Dynamics CRM. Whether you are a business decision maker or salesperson, system admin or power user, if you’re interested in CRM system performance, this session will have something for you. Come see members of the product team introduce performance, how Microsoft Dynamics CRM is optimized for performance, improvements in future updates, and what you can do to improve the performance of your CRM deployment. Upgrading from CRM 4.0 to newer versions of Microsoft Dynamics CRM provides new capabilities to drive business value. This session will provide a detailed view of managing the upgrade process and covers the end-to-end flow of upgrading from Microsoft Dynamics CRM 4.0 to future releases of Microsoft Dynamics CRM. Come and share your tips, tricks and best practices as well as hear other customers’ experiences to help you plan and execute your upgrade. ***This session is not repeated. Microsoft Dynamics CRM provides a framework that allows you to define a business application without writing a single line of code! Everyone can configure powerful applications but–are you a little too intimidated to get started? Join us to learn the basics of how to configure a business data model, user experience, social collaboration, reports and business processes. You’ll learn dozens of tips and tricks and better understand the power and flexibility of your Microsoft Dynamics CRM investment. ***This session is not repeated. Data is the true value of any CRM solution. Learn all aspects of managing data effectively in Microsoft Dynamics CRM. Whether looking at large initial data loads from other sources, data cleansing or de-duplication, a range of tools are provided. We’ll look at managing sample data and some of the sophisticated CRM data editing tools available with Microsoft Dynamics CRM and Microsoft Excel. We’ll demonstrate how to use these tools for your data management requirements. ***This session is not repeated. Join us for a detailed discussion of the tools and techniques which can be employed to monitor and analyze the performance of your Microsoft Dynamics CRM deployment. Learn how to identify and resolve performance issues, and discuss best practices for optimizing performance in your environment. We’ll highlight tools that help identify areas for performance improvement with Microsoft SQL Server and Microsoft Dynamics CRM servers. Join us as we deep dive into the tools and techniques you can use to plan, monitor, and analyze the performance of your Microsoft Dynamics CRM deployment. We’ll outline possible performance issues–how to plan for them, mitigate them, and fix them. We’ll cover best practices that help identify areas for performance improvement with your network, Microsoft SQL Server, and Microsoft Dynamics CRM servers. We’ll also highlight the top five ways to improve the performance of your Microsoft Dynamics CRM deployment. ***This session is not repeated. Interested in discovering how to empower your business by leveraging integration between ERP and CRM? This session will cover methodologies for combining transactional data from Microsoft Dynamics ERP products (AX, NAV, GP and SL), or third-party ERPs such as SAP and Oracle, with relational data from Microsoft Dynamics CRM. The first portion of the session will focus on business value with product demonstration, including partner discussions, and the second, a technical deep-dive. ***This session is not repeated. Many organizations use both Microsoft Dynamics CRM and Microsoft SharePoint and are increasingly looking for ways to integrate these two technologies. With the new wave of SharePoint 2013 and Office 2013 suites, it is now even easier and compelling to integrate them with Microsoft Dynamics CRM for collaborative cloud solutions. Come learn some of the developer patterns and practices you can use when building apps using technologies such as Microsoft Dynamics CRM, SharePoint 2013, Office 365, and more. ***This session is not repeated. ACE Microtechnology, Inc. Achieves a Microsoft Gold CRM Competency! ACE Microtechnology, Inc. Achieves a Microsoft Gold CRM (Customer Relationship Management) Competency and renews it’s Gold ERP (Enterprise Resource Planning) Competency along with other Silver Competencies, Cloud Accelerate and Small Business Specialist! ACE Microtechnology, Inc. earns distinction through demonstrated technology success and customer commitment. Atlanta, GA — October 31st, 2012 — ACE Microtechnology, Microsoft Dynamics GP, CRM and SharePoint Consulting Partner, today announced it has achieved a Gold Customer Relationship Management competency, demonstrating its ability to meet Microsoft Corp. customers’ evolving needs in today’s dynamic business environment. The Microsoft gold competency signifies to the market that a company has demonstrated the highest level of skill and achievement within a given technology specialization. All of the Microsoft competencies are designed to help differentiate a partner’s specific technology capabilities, helping customers find solution providers quickly and easily. Each competency has a unique set of requirements and benefits, formulated to accurately represent the specific skills and services that partners bring to the industry. To achieve a competency, partners must demonstrate and maintain a significantly more rigorous set of requirements than are required for other competencies. “We are very proud of our team of consultants at ACE who have exhibited the ability to maintain 97% Customer satisfaction (based on the latest independent survey from September, 2012), daily project schedules and at the same time be certified at the highest level within the Microsoft Partner Channel ecosystem!” explained Susan Looby, President. This provides extreme value to our Customers and continues to support our “Customer for Life” goals at ACE. This accomplishment is very exciting for ACE as it approaches its’ 10th year Anniversary in 2013 thanks to all the support of our great customer base. Corporate Environments (CE) employs more than 40 professionals to serve the office design and furnishing needs of their clients. Headquartered in Atlanta and serving the greater southeast, CE represents furniture lines including Knoll office furniture and DIRTT architectural products. CE lacked a single repository for customer information. With the majority of the staff interacting with clients on a regular basis, it was critical for them to have quick and easy access to sales and support information to better serve their existing customers and attract new ones. CE chose Microsoft Dynamics CRM 2011 Online and partnered with ACE Microtechnology to deploy the solution and integrate it to their industry specific back office for greater information access and visibility. Regional Office Furniture and Architectural Products Dealership deploys cloud based CRM to provide 360 degree view of clients and prospects! Operating in the Atlanta area since 1986, Corporate Environments has the experience necessary to assist with all office design needs, from furniture to space planning to relocation and installation. As the only authorized Knoll dealer in the area, Corporate Environments customers are assured that they will be receiving only the most stylish, well-made office furniture on the market. Furniture carried by Corporate Environments includes modular office furniture, cubicles, office chairs, conference furniture, reception furniture, 3form products, healthcare furniture, executive office furniture and filing cabinets. Corporate Environments had no integrated corporate sales tools. Sales representatives used their own individual tools to track accounts, contacts and activities. Opportunities were manually entered into spreadsheets for forecasting. No integrated marketing or customer service systems existed either. Because all of the staff of Corporate Environments interacts with and focuses on the customer, the company was exploring the acquisition of a fully integrated sales, marketing and customer service system. As a Microsoft Gold and Silver certified partner specializing in Microsoft Dynamics GP and CRM, ACE was uniquely positioned to deploy a solution that met the needs of Corporate Environments today. This solution leveraged existing technology investments and will scale with future company growth. Corporate Environments had no single repository for corporate sales and marketing. Sales information was spread throughout the organization with individual employees. The company was using manual processes and multiple tools for sales forecasting. Only a limited history of sales activities was available and the company had no understanding of why sales were lost. Corporate Environment spent a tremendous amount of time on networking but truly had no clear vision on where leads were coming from and where their networking time was best spent. Reporting and Business Intelligence was either very hard to produce, inaccurate or just not available. In order to achieve their aggressive growth goals, this lack of critical knowledge needed to change. A single customer repository accessible by all employees and identical in Microsoft Dynamics CRM and Team Design. Team Design is the industry specific back office accounting and customer/project solution. Integrating with Team Design achieved a common customer and vendor database and additional information for real-time reporting and automated workflows. Who are our customers right now? What vertical markets and what mix? ACE Microtechnology, Inc. is a professional services firm committed to delivering business solutions to small and medium sized organizations. Our focus is in delivering products and services that improve our clients’ business operations. ACE has developed specialties in serving the distribution, retail and hospitality industries. Rather than just building technology or implementing software, we deliver real business value through industry knowledge and understanding each client business. We make it our business to know their business. 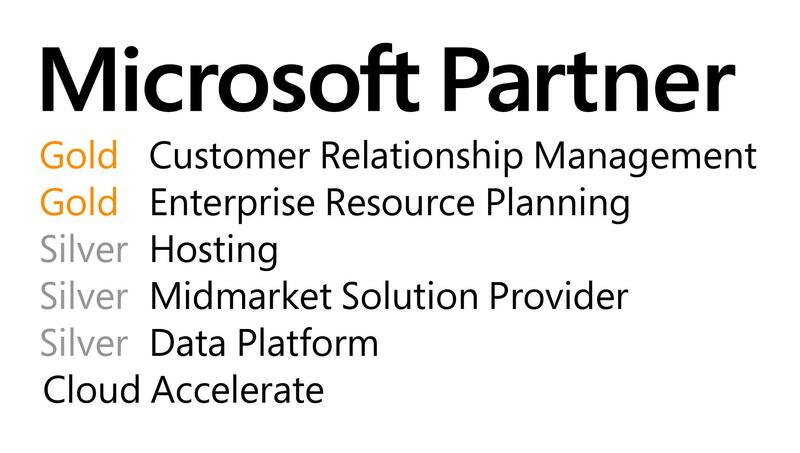 ACE is a Microsoft Gold Certified Dynamics GP partner and Silver Certified Dynamics CRM partner. For more information on ACE, please visit our web site at www.acemicrotech.com or contact Mark Munson at mmunson@acemicrotech.com. ACE 2011 Lunch ‘N Learn, April 12th, Register Today! Rev UP your CRM and ERP system to its’ fullest potential!